When Cascade Stoneworks approached us, they were looking to change their cart from Magento to a more dynamic solution - one that was flexible and easy to use. We recommended CS-Cart to them. CS-Cart gives us the flexibility to design a site that fits the character of Cascade Stoneworks. 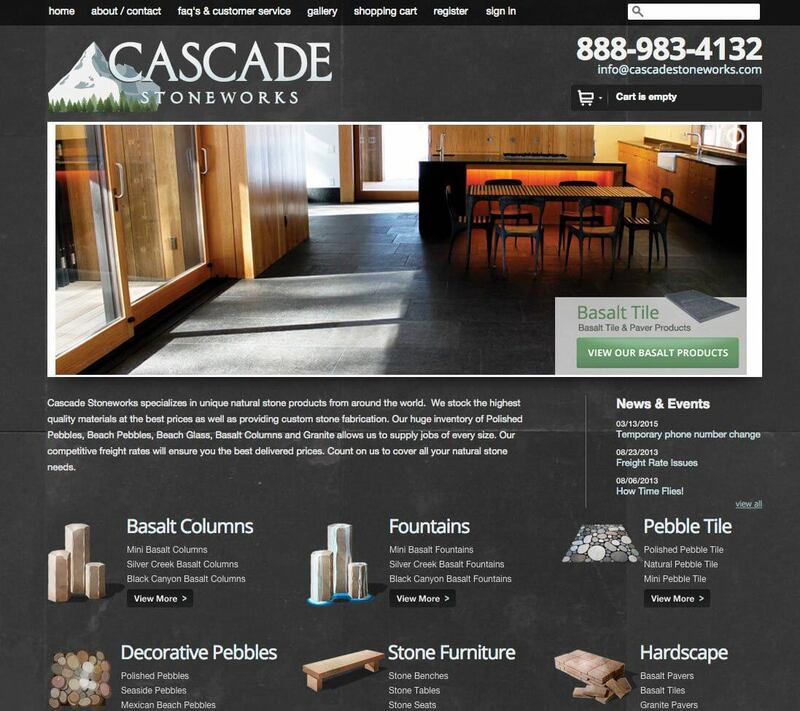 On the homepage, we wanted users to see the iconography of the products Cascade Stoneworks offers and make it easy to make purchasing decisions based on their needs in the fewest steps possible. We also designed the logo for their website and setup custom pages for each of their product collections. The moment we saw the basalt stone that Cascade Stoneworks works with, we wanted to bring that character and beauty to the site. From basalt column fountains to pebble tile, each collection holds its own unique form that we felt we could use graphically within the site to display what they offer. We worked with Cascade Stoneworks to narrow in on a look for these icons before settling on the final textured, rustic style.